In Tel Aviv, we celebrate Bauhaus! In 2003 the United Nations Educational, Scientific and Cultural Organization, UNESCO, proclaimed Tel Aviv’s White City area a World Cultural Heritage site as an “outstanding example of new town planning and architecture in the early 20th century”. “The White City” of Tel Aviv is named as such as a nod to it’s impressive collection of over 4,000 buildings designed in the Bauhaus or International Architectural Style during the 1930’s. In the midst of this Bauhaus context, The Tel Aviv Museum of art has inaugurated a cleverly curated exhibition “The Bauhaus #itsalldesign”. Visitors to this compelling exhibition will learn how Bauhaus was an institution that changed 20th century design significantly, and was not only an architectural style, as often misconceived. 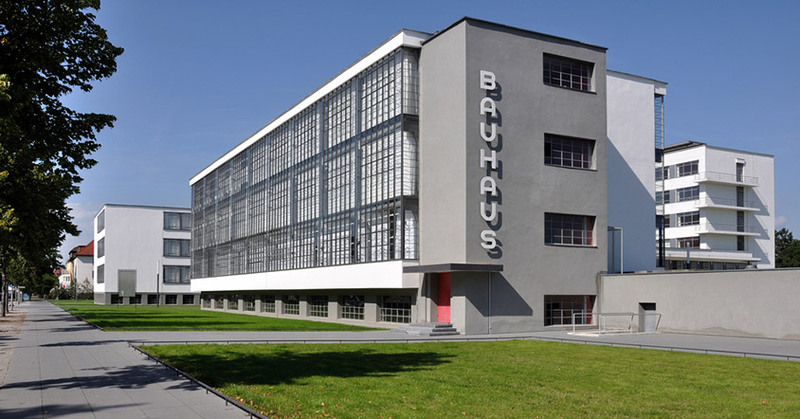 The Bauhaus School (1919-1933) formulated universal design principles that combined art, craft and industry, trailblazing it’s way beyond local design traditions. The exhibition presents works by Bauhaus leading names such as Oskar Schlemmer and Walter Gropius as well as by contemporary Bauhaus designers, such as Konstantin Grcic and Thomas Lommée. Welcome to the White City, home to the ultimate Tel Aviv luxury boutique hotel.